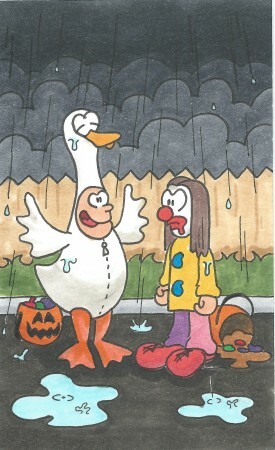 And this is when Ducky became afraid of clowns. No tricks. No treats. The soggy streets. my makeup streaked. The melted sweets. destroyed by sheets of pouring rain. because it rained on Halloween.